In the digital age, taking SAS training courses to boost your career and gain breakthrough skills in analytics becomes extremely important. Whether you are eager to grow as a data analyst every company wants or a highly committed industry expert, you always can ensure your career growth in analytics with the best SAS online training in Delhi. However, what kind of SAS analytics training you should look for? An extensive repertoire of offers make the task of choosing the most appropriate program difficult for beginners. Follow the steps below to find out where you want to go. Are you eager to become a data scientist or a business expert who is looking to transition their career to analytics? Until you clearly understand both your desires and your own background, it might not be easy to select the courses you really need. Basic SAS learning will help you start properly. Once you become familiar with basic concepts and learn to recognize the main components of SAS programming during this SAS training course, you will feel ready to write basic SAS programs. Unlike business professionals within marketing, finances or investment fields, data scientists have completely different skill set. And if you found yourself in a SAS analytics role, deeper technical skills are required. At the same time, working effectively with business professionals is an essential element of your successful career as a data scientist. Learning advanced SAS programming will expand your knowledge of SAS and improve your analytics skills. You will find out more about the efficiency of various techniques (hash objects, formats, array processing, and merging/combining data) to solve complex issues. Furthermore, you will create data-driven programs with SAS Macro Language. You will be impressed with your enhanced capabilities! 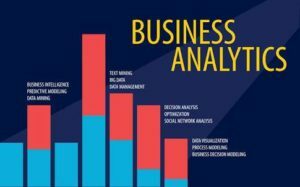 Taking Business Analytics course is the integral part of management science that allows you to learn other interesting aspects of analytics, regardless of your educational background. Combined with statistics and predictive modeling, Business Analytics solutions reveal new ways to automate and optimize business operations as well as seize bigger opportunities. Therefore, if you are a strictly business-minded person, and want to gain insights that give rise to profitable business decisions, this SAS training course will fit you.